Product #60613 | SKU 5-321 | 0.0 (no ratings yet) Thanks for your rating! 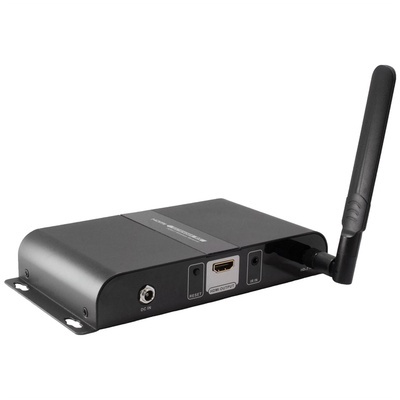 The Cinegears Wireless Prime HDMI Full HD Receiver (Encrypted) can be incorporated into the optional 5-320 kit to provide an additional output source. It accepts an HDMI signal fully wirelessly from up to 650'/198m away, and also features pairing encryption that will protect the HDMI signal. The receiver has an HDMI output for connecting the signal to pretty much any large display, and just like the 5-322 kit it supports up to Full HD 1080p60 signals, 3D signals, and 7.1 channel surround sound audio, all with low latency.